There is an alarming issue you need to be aware of. While I do not use this blogsite to engage in partisan politics, that does not mean that I avoid politics and government relations altogether. I consider myself a bi-partisan, vigorous defender of the nonprofit sector. Over the years, I’ve worked with both Democrats and Republicans in my capacity as Chairman of the Association of Fundraising Professionals Political Action Committee, Chairman of the AFP Greater Philadelphia Chapter Government Relations Committee, and a member of the AFP US Government Relations Committee. I’ve even represented AFP in testimony before the Federal Trade Commission. As a passionate defender to the nonprofit sector and a cheerleader for voluntary philanthropy, I took notice of a recent post on The Agitator blog. Fundraising legend Roger Craver sounded an alert and issued a call to action over a dangerous move by the California Attorney General. If you’re willing to turn over the list of your top donors to the government then you need read no further. However, if you’re not sure, or you’re absolutely certain you’d be unwilling to give up the donor list, then take this post to your CEO and General Counsel. Immediately. Why? Because right now the Attorney General of California is set on requiring that any nonprofit seeking a license to solicit funds in the nation’s largest state first turn over their lists of top donors that are filed with the IRS on a supposedly “confidential” schedule of your tax return. This dangerous and unconstitutional power grab in the name of ‘fundraising regulation’ and ‘consumer protection’ must be stopped. And it’s up to all of us—nonprofits and the companies that serve them to stand up now and take action. 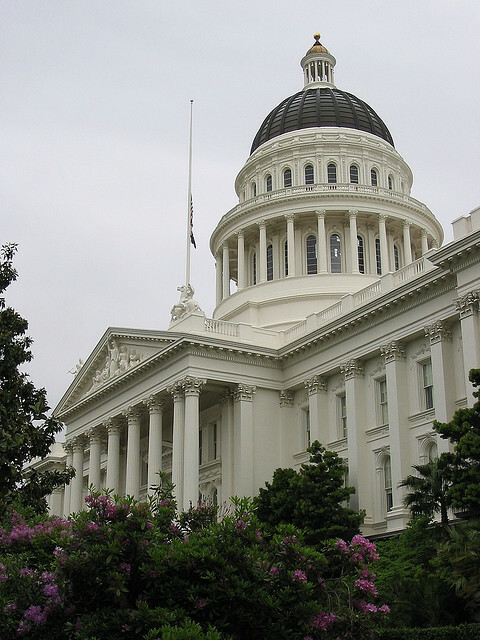 Whether or not your organization or one you serve solicits funds in California the battle ahead will affect the freedom of speech and privacy rights of every nonprofit in the U.S. and their donors. In a moment I’ll outline the steps you can take immediately to head off this threat. But first some background. A year ago this week The Agitator warned about a sinister move by the Oklahoma Attorney General and his special interest contributors to silence the Humane Society of United States (HSUS) using that state’s fundraising regulations. HSUS has boldly and, so far, successfully fought back. As I pointed out last August there have been relatively few occasions in modern history where politicians have blatantly sought to use the power of their office to silence nonprofits that opposed them or whose views and ideology they disagreed with. At the end of the day, Americans and the U.S. Supreme Court have shown little tolerance for political zealots and bullies who abuse U.S. Constitution’s guarantees of free speech and due process. NOW …The Intimidators At It Again. And We Must Make Sure They Lose. Again.